The volume HUD hasn’t really changed much since iOS was first released. 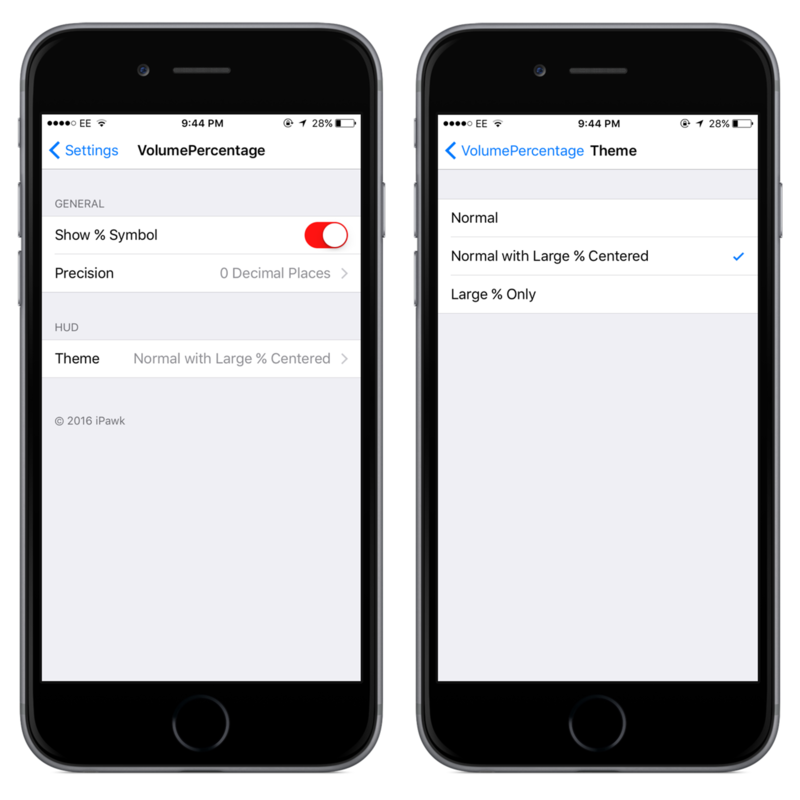 It’s kept the same design though every version of iOS so far, a process style bar to show how loud the volume is and a speaker image to show which volume setting is being changed. VolumePercentage aims to add something new to the old HUD. The tweak is quite easy to use and has a few settings to go with it. The standard settings which are set by default consist of a percentage being shown next to the title of the HUD. This is a nice clean way to add the percentage without being too intrusive. There are a couple of other styles to choose from, including a large percentage in place of the speaker image and a large standalone percentage to replace the entire HUD. It is also possible to hide the ‘%’ symbol on the HUD, and control how many decimal places the percentage is shown to (maximum 4). The tweak itself works perfectly without any issues that I can find. It is something that would be very useful for people who want a change from the standard volume HUD or who simply prefer to view it as a percentage rather than a process bar. 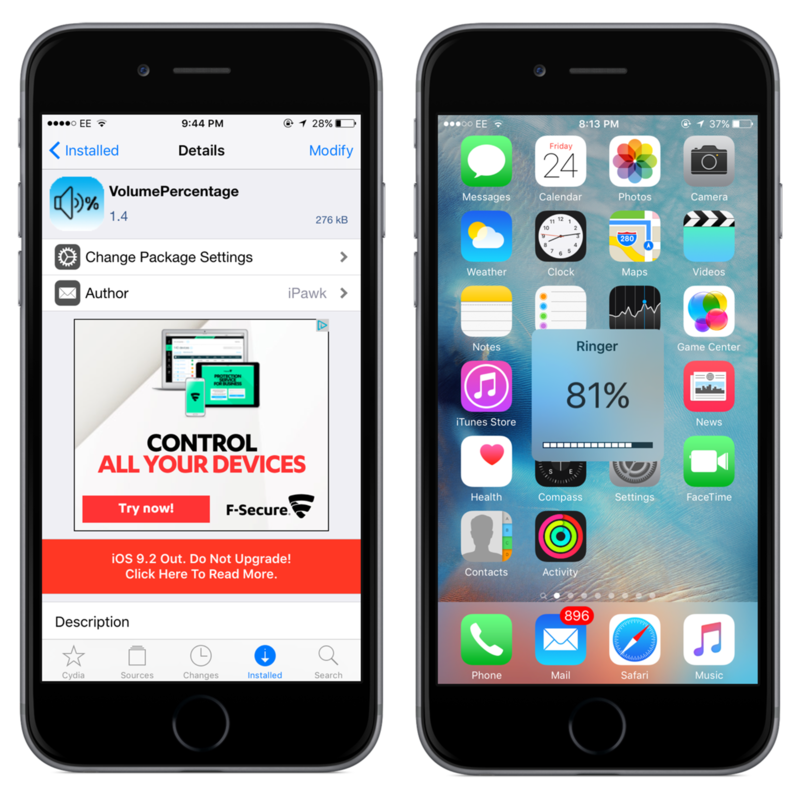 VolumePercentage is available for free on the BigBoss repo, so if you are interested there is no reason not to give it a try! Which style volume HUD do you prefer? Leave your comments below!